WORLDWIDE: Vestas announced a flurry of orders in the final week of 2017, including a contract to supply turbines for the largest wind farm to be built on a First Nation reserve in Canada. The manufacturer also secured contracts in the US, Chile, Argentina, India, Greece, and Sweden as the Danish company’s 2017 order intake surpassed 10.5GW. Among the contracts announced at the end of the year, was the first order for Vestas’ V116-2MW turbine, which it unveiled in April. US developer Pattern Energy announced completion of C$1 billion (US$795 million) financing for the 300MW Henvey Inlet project, which will be located on a First Nation reserve on the northeast shore of Georgian Bay in Ontario. Vestas will supply 87 of its V136-3.45MW turbines — which it claims will feature the tallest towers in North America — for the site, which is jointly owned by Pattern and the Henvey Inlet First Nation. Chief Wayne McQuabbie of the Henvey Inlet described the project, which is also the largest in Ontario, as an "economic turning point" that "protects and preserves First Nation land while also generating revenue for future generations". Vestas will supply its new V116-2MW turbine for the first time, at an unspecified 66MW project. The turbines, which have 57-metre long blades and a rotor swept area 11% larger than that of its V110-2MW predecessor, will be manufactured at Vestas’ factories in Colorado. The customer and project name have not been disclosed. Elsehwere in the US, Avangrid Renewables placed an 184MW order for 51 of Vestas’ V136-3.45MW turbines delivered in 3.6MW power optimised mode and five V126-3.45MW units for the first phase of the Montague wind farm in Orgeon in the Pacific Northwest. Construction at the 201MW first phase started in September, and is due to be completed later this year. Vestas also received an order for 190MW of 4MW platform turbines for an unspecified project as well as sevenorders for 4MW turbine components with a total capacity of 180MW that qualify for 80% of the production tax credit (PTC). Again, in each case the customer was undisclosed. Vestas signed a 32MW contract with Vientos de Renaico for the La Flor site in the central Renaico region of Chile. The contract includes supply and installation of nine V136-3.45MW turbines uprated with a power mode option to 3.6MW. Delivery is scheduled for the fourth quarter of 2018, and commissioning for the second quarter of 2019, Vestas stated. Vestas’ order intake for the country in 2017 surpassed 700MW with an 118MW order from Compañía Eólica Vicente Guerrero. The developer will use six V136-3.45 turbines and 27 V136-3.45 MW units of the same model delivered in 3.6 MW power optimised mode at the Vicente Guerrero project in Tamaulipas in the northeast of the country. The manufacturer’s order intake for the country neared 600MW for the year, with a 22MW order for a project in southerly Patagonia. Vestas will provide six of its V117-3.45MW model, again uprated to 3.6MW, to expand the Bicentario project near the port city of Puerto Deseado from 101MW to 123MW. 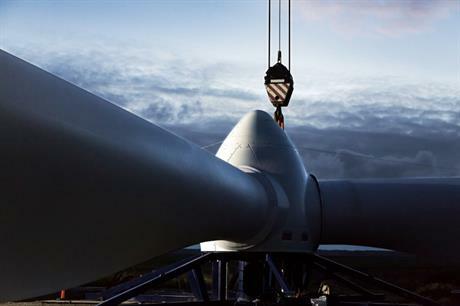 The turbines are to be delivered in the second quarter of 2018 and installed in the fourth quarter, Vestas said. Argentina’s only aluminium smelter Aluar also placed an order for the Danish OEM to supply and install 14 of its V126-3.45MW turbines in 3.6MW power optimisation mode for the 50MW second phase of the El Llano project. It had placed a 50MW order for the first phase of the site, located in central Chubut province, in June 2017. Watsun Infra, a subsidiary of local developer Continuum Wind Energy, will use 34 V100-2MW turbines and 14 V110-2MW turbines for the 96MW second phase of the 150MW Periyapatti project in Tamil Nadu. The order means Vestas’ 2017 intake in India surpasses 600MW. French developer Total Eren placed a 28MW order for two V117-3.45MW turbines and six V126-3.45 machines for the Flampouro project in the north of the country. Eolus Vind ordered 279MW of Vestas’ turbines be installed at four wind farms. Vestas will provide 61 of its V136-3.45MW turbines uprated to 3.6MW, with output further increased to 3.8MW for the Kråktorpet and Nylandsbergen projects on the coast of the Gulf of Bothnia. The turbines are to be delivered in the second quarter of 2019, Vestas said. It will also provide 13 of the same model in 3.6MW power optimised mode for the Sötterfällan and Anneberg projects in central Sweden. The machines are to be delivered in the second quarter of 2019 and fourth quarter of 2018 respectively. Vestas also signed a partner agreement with developer Web Windenergie to supply its 4MW platform for future projects in Germany, Austria, Italy, France, Canada and the United States. The manufacturer claims the agreement could lead to more than 100 turbines being ordered over the next two years. As part of the agreement, it will supply Web with 35MW of turbines across two wind farms, one in Lower Austria and the other in eastern Germany.